I am a total and utter movie buff. Always have been. When flying to and from India I think I watched about 8 movies in total, yes 8 I honestly can not sleep on planes. Extremely thankful that Air Canada and new movies on both flights. 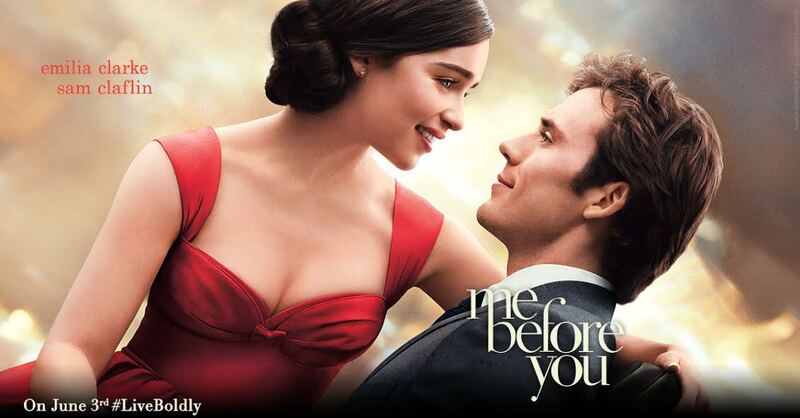 I was given the opportunity to be invited to a prescreening of the new movie, Me Before You starring Emilia Clark, Sam Clafin and Jenna Colemen by She Does the City. She Does the City is a Toronto-based women’s website that features a great guide for women. Be sure to check them out. This movie is sure to be a real tear jerker and would make an awesome girls night or a date night if your special someone is willing to sit through a chick flick, I know my man would! She Does the City has graciously offered 10 double passes to Adventurous Mama readers for a chance to get in on the pre-screening as well that will be held on Wednesday, May 25th at Cineplex Odeon International Village Cinemas at 7pm. Watch the trailer below. Would you join me? Enter in the Rafflecopter below. Winners will be announced on Monday, May 23rd with a link to your tickets. Good luck!